Take control with the power you want and the ability to easily navigate whatever conditions you encounter. 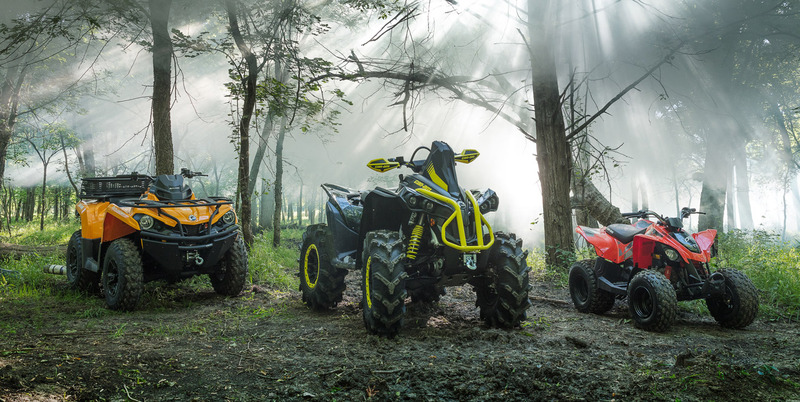 Featuring class-leading horsepower and agile handling, the Can-Am Renegade is simply the best sport-performance 4x4 atv ride available. 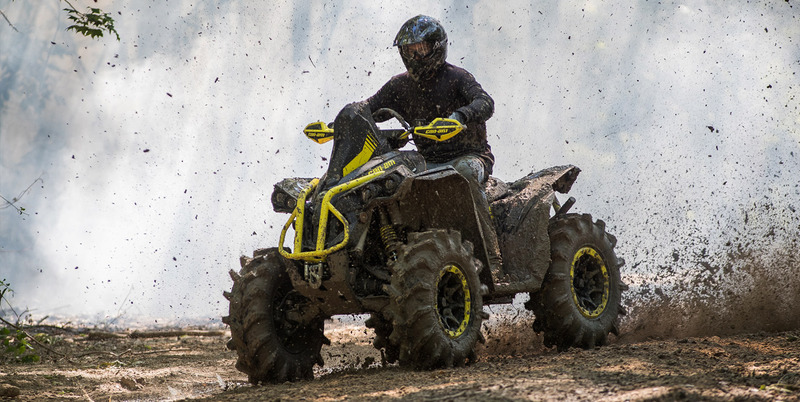 The Can-Am Renegade X mr 1000R is the most powerful mud ready ATV available on the market. 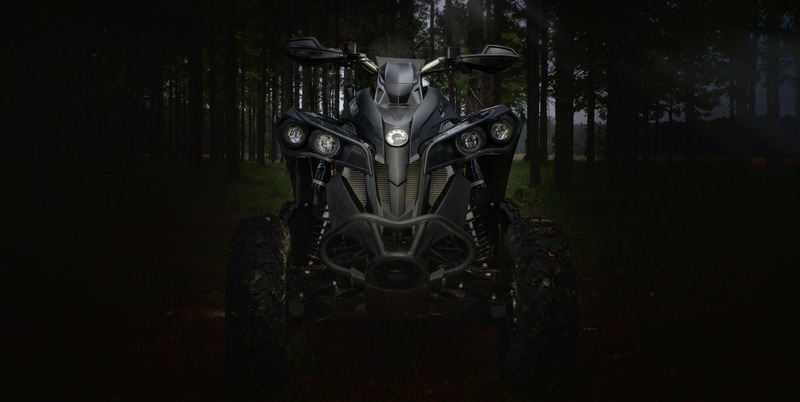 We didn’t just wake up and decide to build the most powerful ATV in the industry, it took years of overcoming engineering challenges, exceeding rider expectations—even earning Amsoil Grand National Cross Country Series Championships with Bryan Buckhannon and Kevin Cunningham. 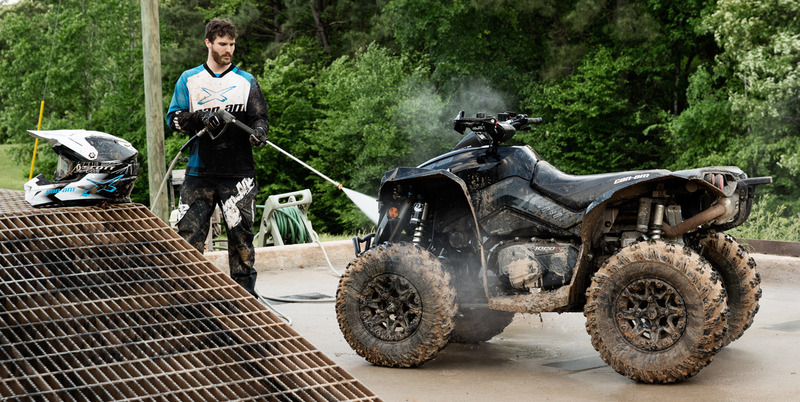 Whether you choose the standard model or the mud-conquering X mr 1000R, there’s a Renegade to get you there. 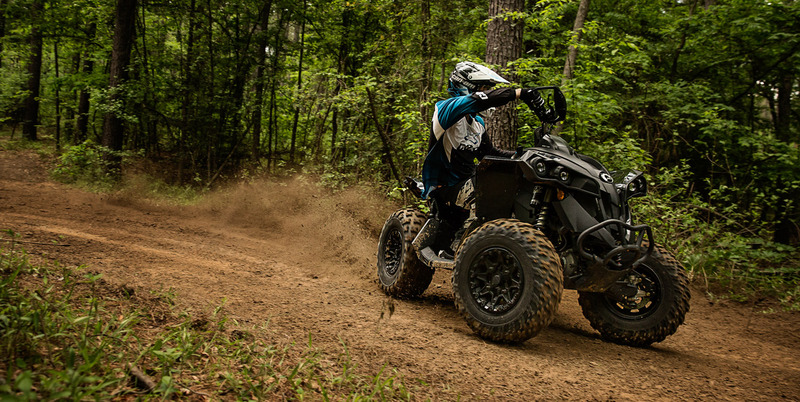 All Renegades feature a performance riding platform versatile enough to be an engaging companion on a flat-out blast, or, in the case of the X mr 1000R, capable enough to dominate North America’s toughest mud terrain. Here’s the Renegade in action. 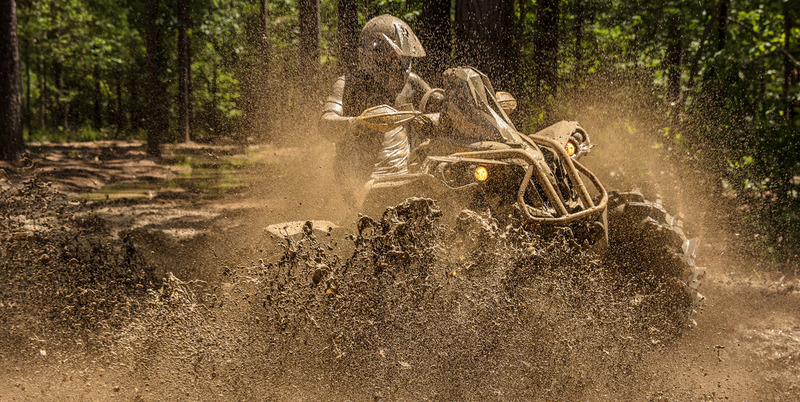 You’re probably not happy until you’ve cracked the throttle as far as it’ll go, are you? 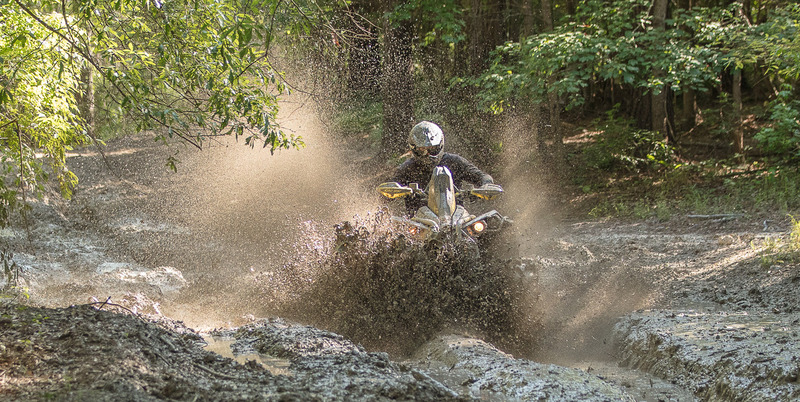 The days of suffering through peaky performance and on-off reliability are over—pick between 48, 78, or 89 horsepower ROTAX V-Twin engines; each with tremendous torque, remarkable reliability, and an easy-to-follow maintenance schedule. 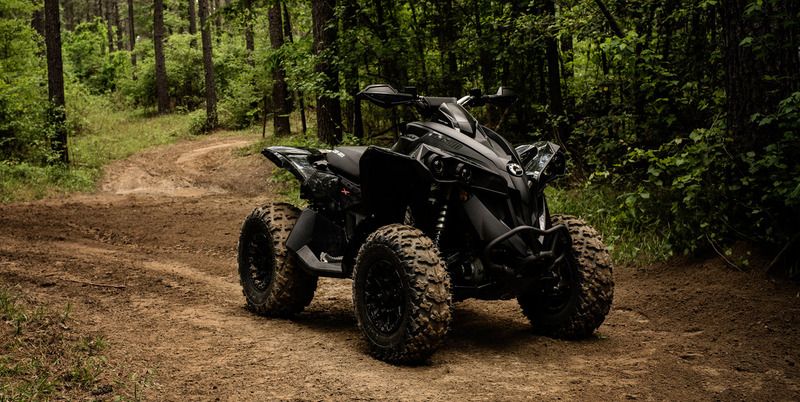 We gave it the power of an 89-horsepower ROTAX V-twin engine, FOX 1.5 Podium RC2 Performance Series shocks, ITP Cryptid tires on 14-in cast aluminum wheels, 3,000-lb (1,361 kg) winch, mud-tuned CVT transmission, and relocated engine air intakes for rides that get a bit deep. All that’s left is for you to give it the beans. 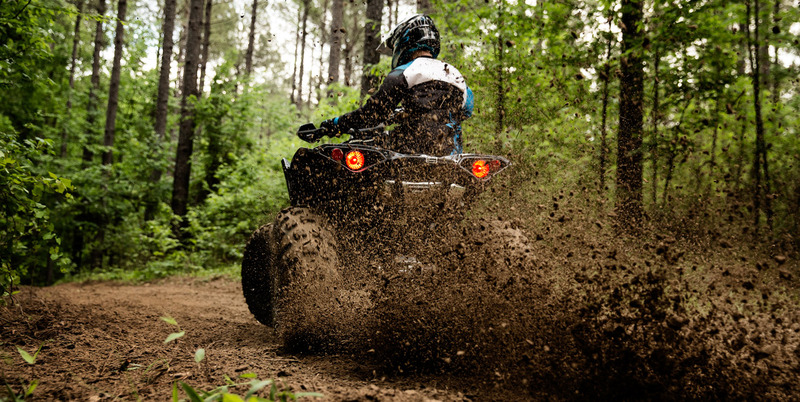 The easiest way to catch a Renegade is to get one of your own. And looking at the flat-out slides, jumps, and terrain you see here is nothing compared to the feeling of doing it all for yourself. 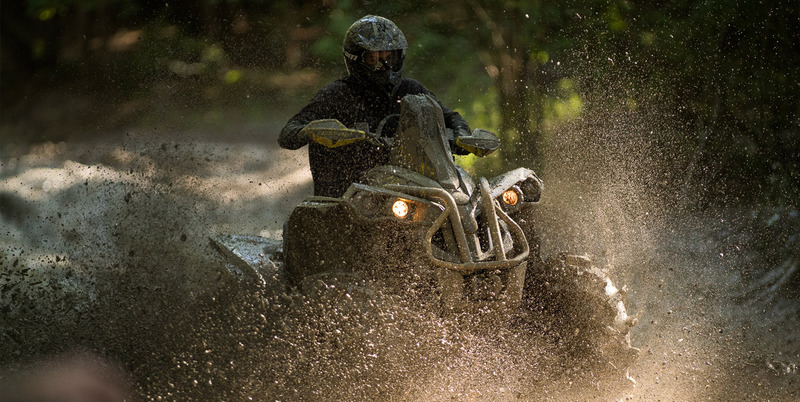 Whether you’re into the roar of a Yoshimura slip-on exhaust upgrade, the responsive feel of aggressive terrain-ripping tires, or the extreme go-anywhere capabilities offered by our Radiator Relocator and Snorkel Kits, all Renegade models can be outfitted for the thrills you crave—and, with LinQ accessories, the gear you need to bring along.